Political cinema can sometimes be too highbrow for a mass audience. But in the 1960s and early '70s, French-Greek director Costa-Gavras showed that films with a revolutionary message can also be popular. In March 1969 a three-day National Conference for a United Front Against Fascism was held in Oakland, California. The Black Panther Party (BPP) was in charge of security. Numerous activists and revolutionaries from around the world attended. After speeches and other consciousness-raising activities, a film screening was organized for the participants. The film? Z, by Greek-French director Costa-Gavras. Even though the film was not officially released in the US until December 1969, BPP captain Aaron Dixon and his comrades were able to procure an advance copy to show at the conference. Z tells the story of a charismatic left-wing politician in an unnamed Mediterranean country, who is assassinated by shady characters connected to the deepest layers of the state. As the film progresses it becomes clear that the murder was organized by malicious figures from within an entrenched political-military alliance of the Right. They cannot countenance the prospect of a strong Left, so the young MP (played by acclaimed French actor Yves Montand) must die. Montand’s character perishes violently in the first fifteen minutes of the film. There follows a riveting concatenation of events that reveals both the efforts to bring the assassins to justice and the array of legal and extra-legal means used to keep the killing under a cloak of darkness. With car chases, sleuthing, murder, courtroom scenes, and interrogations, the tale proceeds with knuckle-biting suspense. By the end of the film, the viewer is faced with such a thorough portrait of political, historical, and economic rot in this fictional society that they understand that nothing short of a revolution could prevent similar murders from occurring in the future. The story of Z’s screening in Oakland, told in passing by Aaron Dixon in his memoir about the BPP, is just one example of how the films of Costa-Gavras, often focusing on historical themes and revolutionary situations, leave the rarified realm of culture and seem to participate directly in history and politics. Out of the Oakland conference came the United Front Against Fascism, which set up radical community centers to counter the kind of insidious, everyday fascism revealed in Z. One continuing focus of the BPP’s efforts was self-defense against state violence like that which took down Montand’s character. It would be simplistic to suggest that the screening of the antifascist and anti-authoritarian film Z directly impacted political decisions or predicted historical events. But this all-but-forgotten screening in the Bay Area in 1969 does reveal the way in which in that decade radical art, and in particular cinema, breathed the same air as social movements. Art and culture drew on the same forms of inspiration as these movements, and in turn contributed to the general atmosphere of those heady years — times when it felt like everything was about to change. One important manifestation of this 1960s political climate was the speed with which things (people, ideas, slogans, fashions, arms) could travel, seemingly unconstrained, across the world and back again. Central to these international exchanges were objects of revolutionary culture: a battered paperback carried in a suitcase, a song on a 45 vinyl, a hand-copied script. Or a spool of film reel, sent to Oakland by a Greek director who made a French film shot in Algeria. Shared without respect for national or other borders, such a common 1960s repertoire of revolutionary poems, records, plays, films, and more helped contribute to the feeling that what was kicking off here was also kicking off there, and that art had a part to play in it all. Today, most of us would find it difficult to harbor the same optimism for art’s ability to intervene in the world. There is a sense that it would be nearly impossible for something like a film to even stir a genuine controversy anymore, let alone contribute to a revolutionary situation. Yet this is exactly what Costa-Gavras and other radical filmmakers of his generation expected from cinema — and so did their audiences. What set the work of Costa-Gavras slightly apart from fellow left-wing directors like Jean-Luc Godard or Gillo Pontecorvo, however, is that he thought cinema could both be revolutionary and popular, consciousness-building and entertaining. Aware that most viewers don’t care much for avant-garde experiments or newsreel-like accuracy, Costa-Gavras explained his own approach to filmmaking with the adage: “You don’t catch flies with vinegar.” The honey of his films is excitement, action, and suspense. As in Z, he harnessed the excitement of plot and stylish, quick edits to draw in the viewer. Aware of the average cinema-goer’s habits and expectations, he found a way to deliver radical content in a genuinely popular form. If a movie utilizing all of Hollywood’s conventions can also be radical, then perhaps today we are not so far away from the fusing of politics and pleasure that Costa-Gavras enacted. If films like Sorry to Bother You and The First Purge (2018) are any indication, a healthy pop-leftism may be making its way back to the silver screen. All the more reason, then, to look back at earlier traditions of political filmmaking to see what lessons can be gleaned. As a filmmaker, Costa-Gavras represents an enormous range, from his debut black-and-white murder mystery in 1965 to his forthcoming cinematic adaptation of Yanis Varoufakis’s memoir, Adults in the Room, or from his denunciation of Chile’s Pinochet dictatorship in 1982’s Missing to his recent film on the Mediterranean refugee crisis. Taking stock of Costa-Gavras’s life and work, in its high points and low points, allows us to assess what elements of 1960s cinema can be carried across into a genuinely popular, radical culture today. Costa-Gavras was born in 1933 in Greece’s Peloponnese region. His given name was Konstantínos Gavrás. (The hyphenated name with which the director became famous was just a typo from his early filmmaking days in France that somehow stuck.) His mother was a devout Orthodox Christian and his father an anti-royalist from Odessa. When the Axis powers brutally invaded Greece in 1941, Panayotis Gavras joined the left-wing resistance against the occupiers. Though Costa-Gavras’s father wasn’t a communist like the main resistance leaders, he joined forces with other sections of the urban poor and peasantry who hoped to kick out both the Germans and the ruling family of Greece. The leftist partisans eventually routed the Nazis. Widely popular, the EAM/ELAS partisans controlled a large portion of Greece. However, the king and his British supporters soon moved to marginalize the antifascists. Then came a brutal civil war in which former Nazi collaborators were armed to wipe out the Left. Once heroes for kicking out the invaders, by the time the 1946–49 Greek Civil War ended the majority of antifascist partisans were either killed, exiled, or sent to brutal concentration camps on deserted islands. Hence from the Metaxas dictatorship of the 1930s to the military regime of 1967–1974, the Greek state always perceived leftists as “dangerous citizens” and punished them accordingly. While Costa-Gavras has spent most of his life in France, his Greek childhood and this history were central to his cinematic imagination and an understanding of politics shaped by dictatorship, famine, occupation, civil war, imperialist intervention, and anticommunist repression. In 1953 Costa-Gavras instead tried his luck in Paris. He enrolled at the Sorbonne and then at the prestigious French national film school, IDHEC. Spending time in Paris’s Left Bank movie houses; attending rallies against the atom bomb or in support of the Rosenbergs; and reading Jean-Paul Sartre, Victor Hugo, John Steinbeck, Marx, and Lenin; in the mid-1950s Costa-Gavras’s political and cultural sensibilities began to solidify. 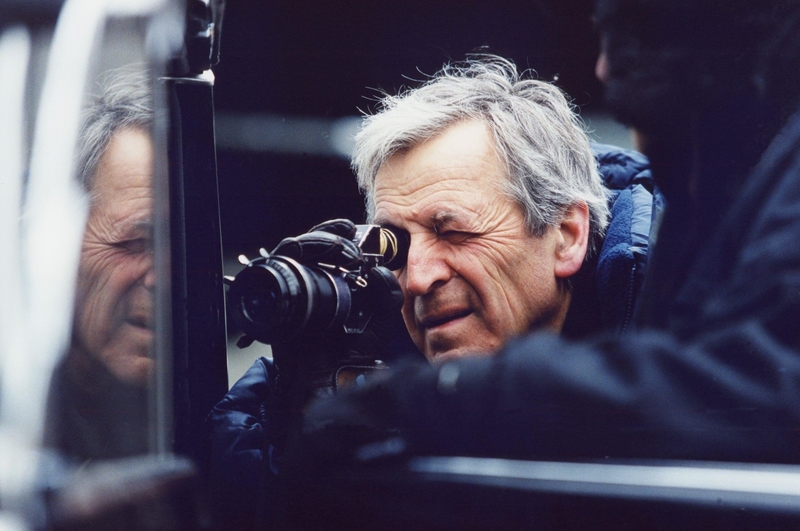 Costa-Gavras got his start in the French film industry assisting such figures as Jean Giono and René Clair. In 1965 he released his first feature film, The Sleeping Car Murder. His future ability to make films would depend on the box-office success of this directorial debut. Hence, drawing on his passion for US film noir, Costa-Gavras created a fast-paced police thriller and murder mystery that was guaranteed to please. In Costa-Gavras’s second film, 1966’s Shock Troops, we begin to see traces of the future political filmmaker. Adapted from a World War II novel and meticulously researched for accuracy, the film explores anti-Nazi resistance from the French perspective, following a group of partisans conducting sabotage operations in France’s south. The plot thickens when our heroes attack a German prison compound: they expect to liberate twelve of their comrades but are surprised to find thirteen prisoners instead. The action of Shock Troops centers around what exactly the partisans should do with this ambiguous, final man — neither an obvious ally nor a certain foe. Like Bertolt Brecht’s teaching-play The Measures Taken, the film centers on whether it is better to kill a single person, perhaps wrongly, for the security of the collective, or to save the individual but put the group at risk. Unlike Brecht’s unsentimental militants, the French partisans take a risk: they save a life and end up vindicated. The swashbuckling action of prison breaks and bank robberies is punctuated by philosophical disquisitions between the comrades. When a partisan is killed in battle near the end of the movie, the group gathers to mourn. Speaking in eulogy one partisan declares, “Some people can’t understand why others die, why people are willing to die. We will try to understand. Our nature will not be that of our enemies.” Like many of Costa-Gavras’s future films, Shock Troops explores the question of how one can engage in necessary, revolutionary violence and still remain an ethical person. Screened at the Moscow Film Festival in 1967, the film generated significant interest. With Z (1969), The Confession (1970), and State of Siege (1972), Costa-Gavras reached the peak of his career, directing some of his most memorable work and creating new possibilities for political cinema. Taking them in order, these three films focus on: an assassination and its subsequent cover-up; the travails of a prominent Communist subjected to farcical show-trials in Czechoslovakia; and the anti-imperialist struggles of Uruguay’s Tupamaros guerrillas. The foundational theme of these films is the human being and society, amidst their most extreme moments. Costa-Gavras treats history as a form of conspiracy. These films are replete with shady backroom deals, malevolent cabals, violent attacks, and suspenseful reversals. To explore these themes, Costa-Gavras has long used characters like journalists, investigators, interrogators, lawyers, and other such figures privy to the inner workings of power. Like the black-and-white Hollywood thrillers of the 1940s, Costa-Gavras’s films include the good guys we root for and the evil ones we lampoon. Though sometimes leading to cartoonish, one-dimensional villains pitted against protagonists of epic resolve, these films never fail to entertain. As Costa-Gavras has always insisted, the viewer should above all enjoy the experience of the film. Though thorny, indeed crucial, questions are raised, thinking and reflection should come after the movie ends and the lights have come up. The most influential of all Costa-Gavras’s films, Z deserves particular attention. It’s clearly about an assassination — but whose assassination, where, and when? On these questions the film remains as open-ended and universal as possible. Z’s lack of strong contextualizing details allows the public to fill in the specific content with whatever assassination was most pressing at the time (John F. Kennedy, Mehdi Ben Barka, Patrice Lumumba, Martin Luther King, Fred Hampton). However, the attentive viewer will notice that there are certain clues in the film (the soundtrack by Mikis Theodorakis, a quick glimpse of a bottle of Fix beer, a “No to NATO” sign) that locate the viewer in a particular time and place. Indirectly, Z tells the true story of Grigoris Lambrakis, murdered in Thessaloniki in 1963. Lambrakis was a member of parliament for the opposition Union of the Democratic Left at a time of continuous right-wing rule. He was a popular figure — a former Olympic athlete and an accomplished physician. He was also a peace activist, organizing against the placement of US missiles in Greece. After giving a speech at an antiwar meeting on May 22, 1963, he was hit over the head with a club in the street by two right-wing thugs. Five days later he died of trauma to the brain. Lambrakis’s funeral led to massive protests. During the investigation into the assassination it was discovered that his attackers had links to the army and local police. Meanwhile, witnesses began dying off mysteriously. These revelations had an effect on Greek society analogous to Watergate in the US. Out of this rage the Lambrakis Youth Movement was formed in 1964; it would be a crucial player in the resurgence of the Greek left in the early 1960s. However, this renaissance was stopped in its tracks when a group of far-right colonels took control of Greece’s civilian government in a coup on April 21, 1967. The few people who had been tried for Lambrakis’s death were rehabilitated, while the prosecutor and others involved in uncovering the plot were targeted. A further motivation to adapt the novel was the fact that the military coup took place less than a week after Costa-Gavras left Greece. He suspected that the same forces that killed Lambrakis were behind this junta and thus sought to take a clear stand against the regime. The title of the film comes from the graffiti used by protestors after Lambrakis’s death. In Greek the word zei, shortened to its first letter, means “he lives.” This claim of Lambrakis’s immortality was a direct affront against the forces that covered up his death. Similarly, the inclusion in the film of a Greek actor, the acclaimed Irene Papas (cast as the MP’s widow), made the accusation leveled against the junta unmistakable. Even for those who knew nothing about Lambrakis, the film was a sensation. With Jean-Louis Trintignant playing the examining magistrate painstakingly tracking down the perpetrators, the action resembles such 1970s conspiracy films as All the President’s Men and Three Days of the Condor. The contributions of director of photography Raoul Coutard, linked to the French New Wave movement, give the film a stimulating visual aesthetic with handheld cameras, moving shots, and head-spinning montage sequences. Z ends with a warning to the viewer. The film lists things banned during the dictatorship, including long hair, labor unions, Tolstoy, The Beatles, miniskirts, Sophocles, learning Russian, “and the letter Z, which means, HE LIVES.” While these prohibitions were lifted by 1974, the warning maintained, and continues to maintain, its urgency: unless the people resist, nothing is safe. The Confession was also a kind of warning. “I made this film because Stalinism is not just a thing of the past; it is forever present. Every single day it begins anew, and not only in Czechoslovakia,” Costa-Gavras wrote in 1970 when the film was released. Also an adaptation, The Confession was based on leading Czech communist Artur London’s 1968 book of the same name. The memoir detailed London’s harrowing experiences after being arrested in 1951 during a period of high-profile show trials against supposed subversives within the Eastern Bloc bureaucracies. With London portrayed by Yves Montand, who lost a great deal of weight for the role, the film shows the irreproachable veteran Communist as he is tortured, forced to give a false confession, and then paraded in court as an example — all by his erstwhile comrades. The film is brutal viewing. With none of the slick action of Z, the viewer squirms as Montand’s character is beaten, dehumanized, and broken in seemingly unending scenes of pain. The slowness increases the psychological drama, as the viewer is forced to confront the horror of this historical event. Though unforgivingly critical of Stalinism, Costa-Gavras and his team were insistent that The Confession was not an anticommunist film. Because its implied argument matched the 1960s New Left ethos — critical of both state capitalism and state communism — some closer to the orthodox French Communist Party objected to the film. For a spell Costa-Gavras remained persona non grata in the socialist republics. In 1972’s State of Siege, Costa-Gavras turned his attention to US imperialism’s role in Latin America. The film portrays the fate of a US official from the Agency for International Development (AID) who was kidnapped in 1970 by Uruguay’s Tupamaros guerrillas. In his third role with Costa-Gavras, Yves Montand plays Philip Michael Santore, based on real-life kidnapped AID official Dan A. Mitrione. Costa-Gavras and scriptwriter Francesco Rosi spent six weeks in Latin America researching Mitrione’s activities and death. Their suspicions were confirmed: though posing as a humanitarian, Mitrione was really one of a number of “traveling salesmen of imperialist America,” as Costa-Gavras put it. Such men traveled the rounds between countries like Greece, Guatemala, Brazil, and Thailand pulling strings in the government, making connections to right-wing elements, and leaving a trail of military coups and repressive regimes. In the film, as in reality, Santore is kidnapped by the guerillas. They suspect he is involved with training the Montevideo police in illegal torture and counterinsurgency techniques. As we watch the masked guerrillas question Santore — using not violence but the overwhelming weight of facts, dates, and documents to wring their confession — the action cuts to debates going on in the Uruguayan parliament over such torturous practices as the application of electrical shocks to genitalia. The film then flashes back to how these brutal techniques were learned by Uruguayan police officials visiting the International Police Academy alongside their counterparts from the US-allied world. Faced with this array of telescopically presented evidence, the suspense lies in the viewer’s own decision whether Santore is guilty, and then whether the Tupamaros should put him to death once their ultimatum to the government is left unanswered. While the film tries to preserve factual objectivity, the structure of the action ultimately convinces the viewer to concur that they are right to execute Santore. The enormity of the challenges the Tupamaros face in ridding their country of foreign intervention and instituting a more just society is cleverly presented in the film’s final scene. On the runway Santore’s coffin is lifted up onto a plane to be sent home. Just at that moment, there touches down another plane bringing in his replacement. Meanwhile, the wary eyes of a Tupamaro watch on. The film’s careful attention to how the Tupamaros conduct their operations makes it almost a how-to manual for becoming an urban guerilla. The viewer witnesses at length how the group moves undetected through police checkpoints, robs banks, and conducts reconnaissance. The film shows the Tupamaros’s effectiveness and widespread popularity, as separate cells coordinate to capture Santore and whisk him away to their People’s Jail. A dizzying range of vehicles is requisitioned all across Montevideo in order to capture Santore, set up roadblocks, and evade pursuit. As soon as they complete their task, guerrillas or guerrilla-sympathizers melt back into the population. The spirit of resistance that so enchanted viewers is best summed up in a scene taking place at the main university campus in Montevideo. Various speakers hanging from different parts of the stone courtyard play the Cuban revolutionary anthem Hasta Siempre as befuddled police officers try in vain to stop it. As soon as one speaker is silenced, another one starts. The song continues. The Uruguayan scenes were mostly filmed in Chile, under the express approval of president Salvador Allende. He tore through the script of State of Siege “like a detective novel,” supported the project, and even allowed Costa-Gavras’s crew to film for one day in the Chilean parliament. Not long after, Allende too was brought down in a US-backed coup. Not surprisingly, the film faced controversy in the US for its indictment of intervention in Latin America. At one point Santore’s questioner Hugo asks him: “‘You say you’re defending freedom and democracy… Your methods are war, fascism, and torture… Surely you agree with me, Mr. Santore?” Various US agencies took issue with these claims and released official statements against the film. In 1971 a screening at the American Film Institute Festival in Washington DC was cancelled, sparking massive controversy. Costa-Gavras maintained that the film was not propaganda but, like all real cinema, “a way of showing, exposing the political processes in our everyday life.” Indeed, more than anything this trilogy of political films succeeded through its representation of the politics of the everyday. Even today Costa-Gavras remains a prolific filmmaker. As with any creative worker who produces in such quantity, the output is bound to be uneven. While all of his subsequent films carried on the same themes of power, corruption, and violence, only a few preserved the revolutionary excitement and compelling aesthetic of his early work. These films were followed by a return to Latin America in Missing (1982). Adapting the true story of a US journalist disappeared during the 1973 coup against Allende, the Cannes award–winning film condemns the right-wing takeover. Costa-Gavras continued to make films based on historical and political questions, from the Holocaust to white supremacy, Israel-Palestine, and economic crisis. Like a lone voice in the wilderness, he exposes the deeper power structures behind violent events, portrays the moral conflicts of the individuals attempting to resist, and shows the obscured fascism always threatening to emerge into the light of day. Yet no longer fueled by the energy of the social movements of the 1960s, these films contain something of the hoarseness and monotone quality of a warning repeated ad nauseam. Indeed, while Costa-Gavras’s films focus on dissecting structural inequalities and injustices, his strategy is still to zero in on human integrity and courageous individual acts of resistance against the conspiracy of the powerful. This clash of the structural and the human remains an unresolved conflict in his films, in the mismatch between structural diagnoses and individualized, moral solutions. The most successful of Costa-Gavras’s recent films, Eden is West (2009), takes on the refugee crisis in the Mediterranean. The film is innovative in leaving the causes off-screen and focusing on what the director most deftly portrays: the human costs. The film comically and humanely narrates the saga of a Middle Eastern sans-papier as he swims ashore at a Greek resort and faces both the unabashed cruelty and tenderness of strangers while making his halting way to Paris. Taken as a whole, Costa-Gavras’s cinematic output provides us with an example of what it means to be a political artist, in it for the long haul. His work shows us both the fruits of principled consistency and the limitations of a once-successful approach too-little-reinvented. While there remains much to enjoy and learn from in his films, in the end we can declare, paraphrasing Marx, that the social revolution of the twenty-first century cannot take its poetry from the past; it must above all look to the future. A popular, radical cinema of the future can best honor its predecessors in creating something altogether unforeseen. The success of Costa-Gavras’s early films emerged from their intertwining proximity with the social movements of their day. May a new synthesis of culture and politics continue to develop in our own present. Kenan Behzat Sharpe writes on the cultural production of 1960s left-wing movements in Turkey, Greece, and the United States. He is a founder and coeditor of Blind Field: A Journal of Cultural Inquiry .